what are you gonna do with the old one?? i want it!! What kind of PSI are you getting now? 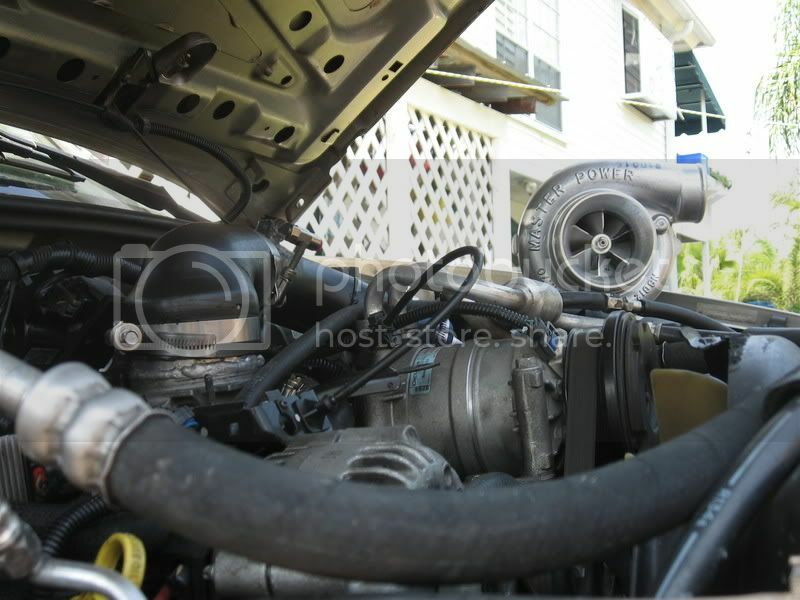 I wish I had places around me for engine tuning... It would make something like this a possibility, lol. You'll have to let us know what kind of numbers you get with the new turbo! how much you lookin for? anything at all wrong with it? and right now im only runn 8psi. 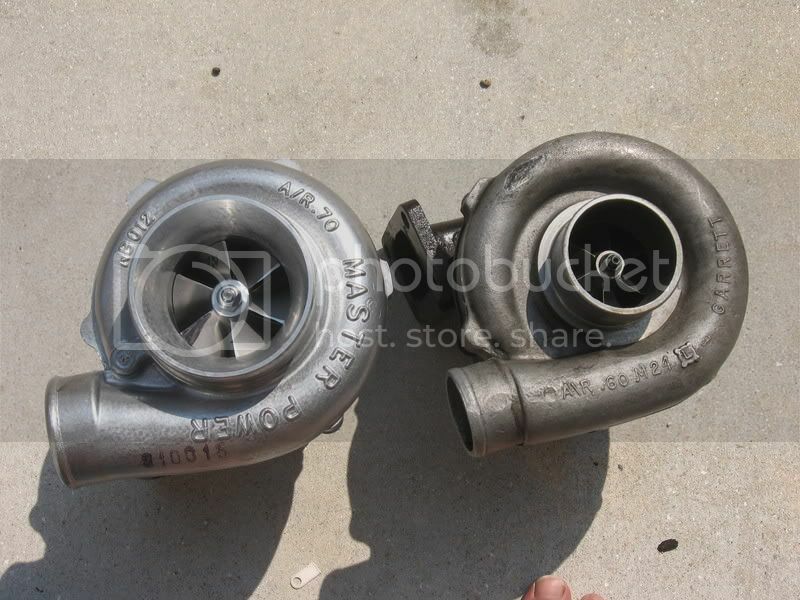 its definatley faster from 60 to 100mph then on the old turbo @ 12psi. 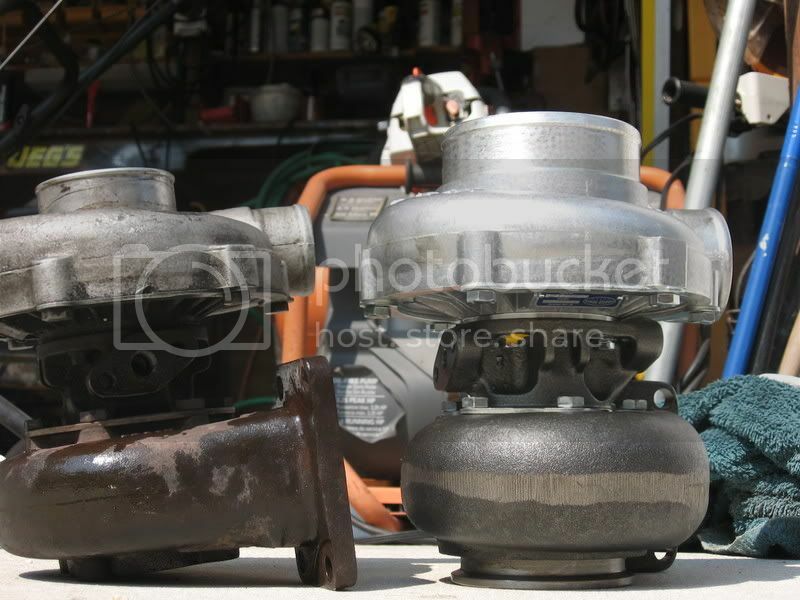 the turbo needs a rebuild and has a little shaft play. How's the low-end grunt on that puppy?